Another Amaze-ing Words Wednesday, and I’m ready to enter the labyrinth of language where surprises await us each week. It’s time to feature another kind of word defined by its etymology: eponyms. Eponyms are words named after a person–real or fictional. For instance, you’ve probably all heard of sideburns, named after Civil War Union General Ambrose Burnside who sported ridiculously long facial hair that grew from his ears to his mustache. Originally, such facial hair were called burnsides, and then sideburns. 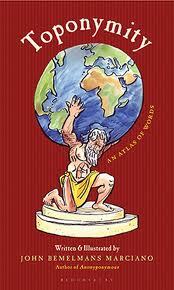 Or how about an atlas? Our bound collections of world maps were named for the mythological Titan Atlas who presumably held up the globe on his shoulders. Let’s take a look at some other fascinating ones. These examples are from the fabulous book Anonyponymous by John Bemelmans Marciano, whose books I highly recommend to language lovers. Boycott. British Army Captain Charles Boycott became a land agent for Lord Erne’s estate in the Irish countryside. A bad crop in 1879 threatened the lands of potato growers, and a Land League was formed that promised retaliation against anyone who attempted to evict the Irish tenant farmers. Boycott posted writs of eviction, and in turn was ostracized by his community. “No shop would serve him, the postman stopped delivering his mail, and even his church congregation gave him the deep freeze.” Thus, we have the word “boycott”–meaning “to combine in abstaining from, or preventing dealings with, as a means of intimidation or coercion.” As for Charles Boycott, he left the area before Christmas, and the British Prime Minister introduced legislation that met many of the Land League’s demands. Guillotine. I’m sure you can already guess that some cold-hearted executioner is behind this one. Physician Joseph-Ignace Guillotin proposed a method of execution to the French Revolutionary body in 1789. He thought it would be more efficient and humane. I suppose that compared to some of the executions of the day, it was a quicker and thus nicer way to go. 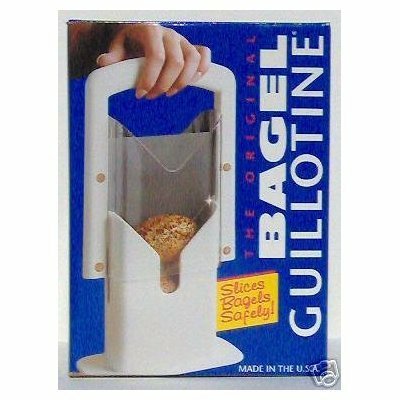 All this has led us to rather useful guillotines of today: the bagel guillotine; the cigar guillotine; and the paper guillotine trimmer. Thanks, Dr. Guillotin! Jacuzzi. Candido Jacuzzi was a loving father who wanted to help his son who suffered from severe rheumatoid arthritis. So he invented a portable pump that he could put into a bathtub to recreate a whirlpool. His nephew, Roy Jacuzzi, saw greater opportunity and began producing the pump as a product from their family business in the 1960s. The sales of jacuzzi pumps outdistanced the sales of their regular product–aircraft equipment–and took over. Leotard. Jules Léotard invented two things–the flying trapeze and the one-piece costume he flew through the air in. Jules was a novice acrobat who did his routine on fixed bars, like everyone else. Then one day, voila! the notion occurred to him to let those bars swing. In 1859 he debuted his flying trapeze act and became an international superstar. He then redesigned the standard acrobat clothing into a single piece that clung to his body–aka the “leotard.” Circus performers, gymnasts, and ballet dancers can thank The Daring Man on the Flying Trapeze. Mausoleum. A Persian satrap (local ruler) named Mausolos had a super-swank tomb. In 335 B.C. after he died, his wife/sister Artemisia was so broken up that she commissioned a whopping memorial so amazing that it was one of the Seven Wonders of the Ancient World. Eventually, as in 16 centuries later, earthquakes got to this architecture marvel, but to this day large tomb with statues and architectural finery are called mausoleums after the ruler Mausolos. Paparazzi. Thanks to Lady Gaga, I can no longer say this word, but rather I sing it, “Papa, Paparazzi.” But this word came into use long before Gaga hit the scene. The classic movie La Dolce Vita (1960) from famed director Federico Fellini included a character who made a living taking secret photos of celebrities around town. Screenwriter Ennio Flaiano wasn’t sure what to name this character until he ran across English novelist George Gissing’s travel book By the Ionian Sea in which he mentions a lodging proprietor by the surname of Paparazzo. The photographer was thus named Paparazzo, and the term paparazzi came to mean those picture-takers who will do nearly anything to get a candid shot of a celebrity. Zeppelin. I credit Jimmy Page and Led Zeppelin for keeping this term alive, since you almost never see a zeppelin anymore, but Led Zeppelin is heard all over the airwaves (and apparently on VP Candidate Paul Ryan’s playlist). The original word, however, comes from Count Ferdinand von Zeppelin, an aviator who worked with the Union Army Balloon Corps doing reconnaissance. After the Civil War, von Zeppelin concluded that he could build a motor-powered balloon with a hard shell and patented one in 1899. Zeppelins were used as commercial flights, bombers in World War I, and for civilian flights after the war. Perhaps we’ll see more soon with Goodyear’s announcement last year that they will be purchasing three zeppelins to add to their blimp fleet. Did you know these eponyms? Were you even familiar with the word “eponym”? Do you have any others to share? On Amaze-ing Words Wednesday, we enter the sometimes confusing but always intriguing world of the English language. 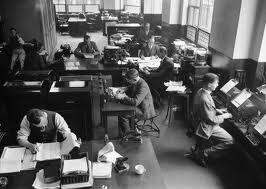 One of the curiosities of language is how words are created and evolve. The study of word origins is etymology, and today’s topic is toponyms. What is a toponym? Well, “topo” means place and “nym” means name. A toponym, therefore, is a word that derives from a place. Some familiar ones might be Bohemian (a free spirit, Bohemia); Neanderthal (an intellectually backward man, Neander Valley); and limerick (a five-lined aabba poem, Limerick, Ireland). But I was surprised to learn certain other words are toponyms. For this post, I must credit John Bemelmans Marciano, author of Toponymity. His book masterfully describes the origins of dozens of toponyms, with a bit of humor thrown into the mix. Here are a few toponyms and their interesting backgrounds. Bikini. In 1946, two big things were happening: Americans were conducting atomic tests in the South Pacific, and clothing designers were shrinking swimwear. Jacques Heim designed “the world’s smallest swimsuit” and called it the Atom. Soon after, Frenchman Louis Réard designed a two-piece swimsuit which scandalously exposed the navel and claimed that it split the Atom. The Americans’ nuclear testing had started a few days before at Bikini Atoll, so Réard called his creation the bikini. Since their inception, nuclear bomb explosions have been rare, but bikinis are seen in huge numbers every summer. Reard hired a stripper to model the first bikini. Danish. President Woodrow Wilson was a widower. Then he fell in love with Edith Galt and married her in 1915. Their White House wedding was a huge affair, and Danish pastry chef L.C. Klitteng used the event to introduce his country’s pastry to the American public. Soon after, he convinced Manhattan businessman Herman Gertner to begin offering these delectable pastries at his restaurants. 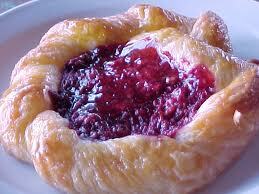 Eventually, Gertner got out of the restaurant business and started manufacturing danishes instead. Meanwhile, the Danes call this pastry wienerbrod, or Viennese bread, after those people who taught the Danes how to make it. Call it what you want, it's delicious. Hack. Hackney, England was once a smaller village outside London and was well-known for its horses in the Middle Ages. A hackney horse was not bred for work or war or even hunting, but for the mere pleasure of riding. Thus, hackneys became popular for renting, and all rented horses became known as hackneys. Shortened, it became “hack.” When something is rented a lot, however, it tends to get worn out. 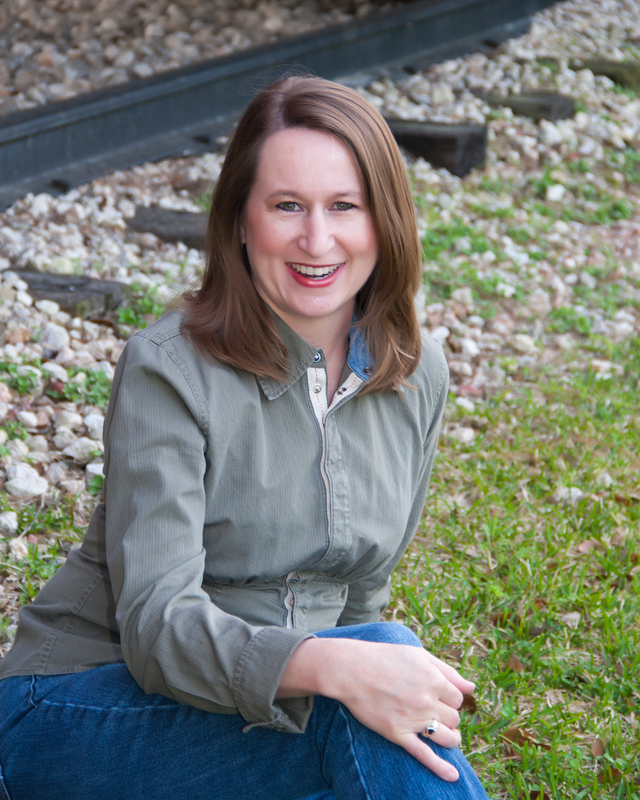 Thus, the transition of the word “hack” to mean that worn-out, work-for-hire type – which now applies specifically to writers. There's got to be a hack in there somewhere. Jeans. Fustian cloth was “the first widely used cotton fabric in Europe,” and it included linen on the base. It was both soft and easily dyed. A cheaper, tougher version of this cloth was made in Genoa and named after the city (“Geane” or “Jeane” in French). Both fustian and denim became popular in America. Having similar uses, their names became confused, or interchangeable. So when denim became the stuff of pants, the name “jeans” stuck. 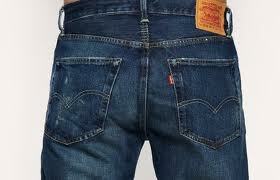 Levi Strauss, a German immigrant, invented blue jeans. Morgue. The original Morgue was the dungeon of the Châtelet prison where anonymous corpses were dropped off. Visitors were free to wander around looking for their lost loved ones. The place was named after an archaic French word, morguer – meaning “to stare at questioningly.” Edgar Allen Poe made the name morgue more widely known in his tale, “The Murders in the Rue Morgue.” Today’s morgues also store the dead and ask family members to identify loved ones; they are all named after the original. 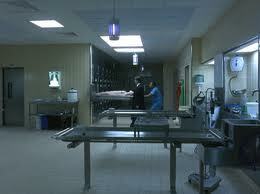 The least disturbing photo of a morgue I found. Serendipity. 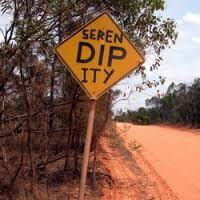 Author Horace Walpole invented the word “serendipity,” in a letter he wrote in January 1754. He based it on a fairy tale titled “The Three Princes of Serendip,” in which the princes “were always making discoveries, by accidents and sagacity, of things which they were not in quest of.” Serendip is the ancient Persian name for Sri Lanka. There's something you didn't expect. Spa. The town of Spa, Belgium became known in the 13th century for its hot springs, which were touted as healthy for both bathing and ingesting. The fad of bathing in springs spread, and eventually the English opened a resort at a spring in Yorkshire known as the English Spaw. Why they added the “w”, I don’t know, but it’s gone again. Thankfully, our spas are more than hot springs and include everything from baths to mani-pedis to massage, which are still good for our health, if only our mental health. Tarantula. 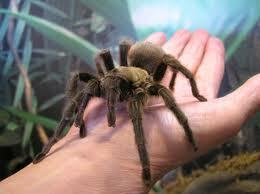 Taranto, Italy was once so infested with a particular type of spider that the arachnid became known as a tarantula. However, these were not the tarantulas that we think of – you know, the ones that Indiana Jones and his assistant encounter in the first scene of Raiders of the Lost Ark. The Americans borrowed the name “tarantula” to label the big, furry spiders that most would rather avoid. That is NOT my hand! These are just a few toponyms – words that derive from places. I recommend Marciano’s book, Toponymity, if you are interested in etymology. He provides further detail for each of these words and expounds on many more. What other toponyms do you know? Do you enjoy discovering the origins of words? Do you want to suggest a neologism and coin your own toponym? Go right ahead.